Sea, sunshine, sushi and sunglasses: four of my favourite things. 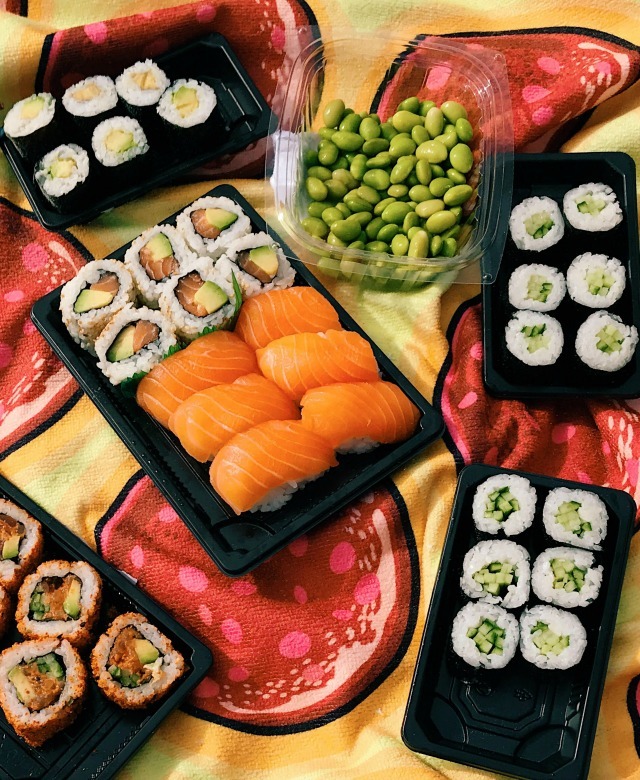 When the weather's as good as it has been this past week, is there anything better in life than heading to the beach straight after school, for a sushi picnic dinner?! That's exactly what we did today. Evie and I went to the sushi bar and picked up enough california and maki rolls to feed the five thousand. Then we packed our beach towels and bikinis, picked Daisy up from school and headed to the Witterings to enjoy the early evening sun. Something else we packed were our brand spanking new Ray-Ban sunglasses, sent to us by the lovely people at Smart Buy Glasses. Now I'm a sunglasses addict (just ask Tom... I think he was pretty horrified by the completely overflowing 'sunglasses drawer' in my dresser when we first met!) My collection consists of a 50/50 split of designer and high street pairs and a 50/50 split of classic, timeless designs and completely over the top, big, bold ones. 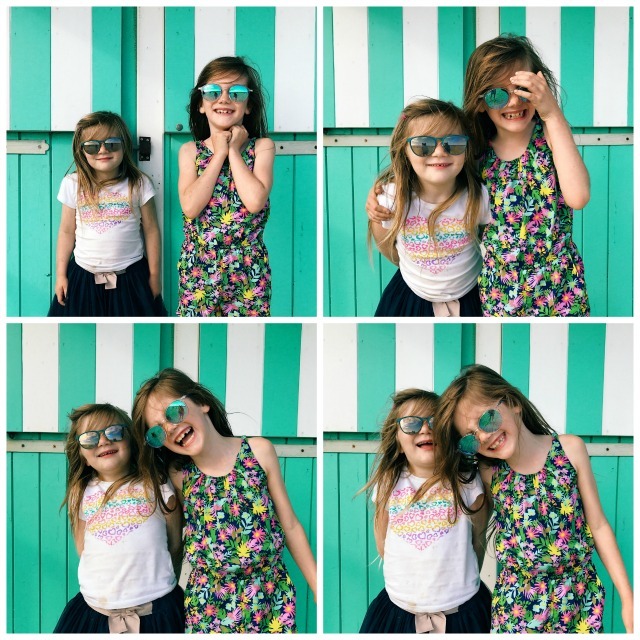 Until now, the girls have only had sunglasses from the high street, mainly down to my fear of expensive ones getting broken or going missing. I wouldn't consider spending £100 on a pair for either of them (although I've been known to spend twice that on mine), but I really do appreciate quality - especially when little, delicate eyes are concerned - so would have no objections to spending £40-£50 on a pair, especially now that the girls are getting older and are able to take care of their belongings. 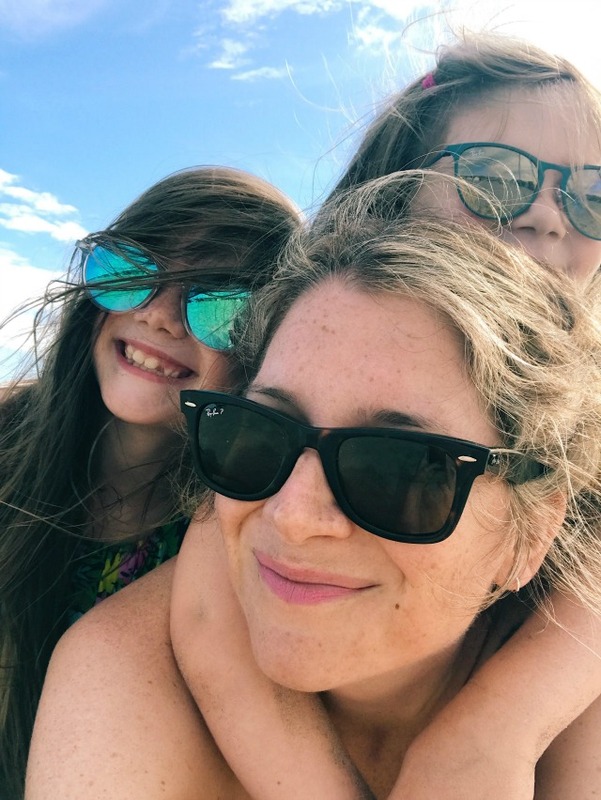 With that in mind, and with the instructions to choose a pair of sunglasses each from SmartBuyGlasses, the girls and I set about browsing the website, which is jam packed full of every single designer you could possibly imagine. I'm a massive fan of Ray-Ban, and my sunglasses collection already contains gold aviators, black wayfarers and tortoiseshell clubmasters. 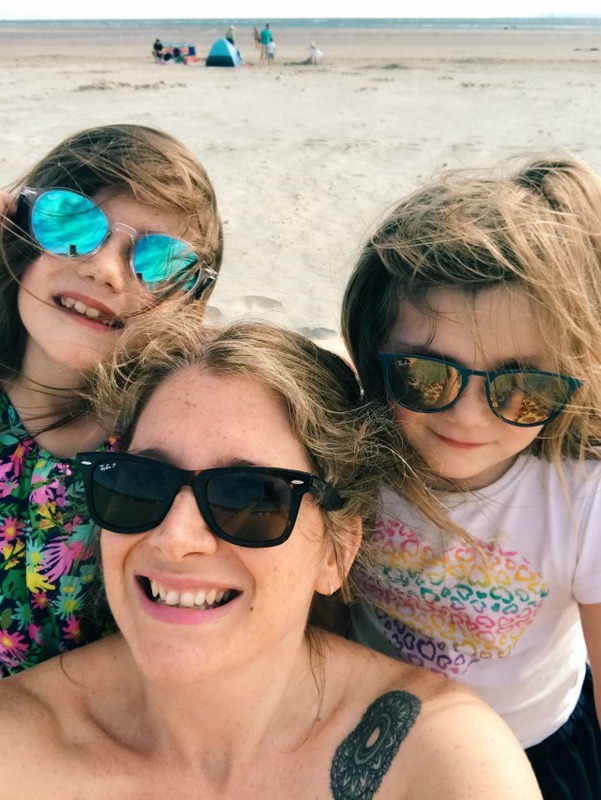 I'd always fancied a second pair of wayfarers in a brown shade - so chose the Wayfarer Havanashttps://www.smartbuyglasses.co.uk/designer-sunglasses/Ray-Ban-Junior/Ray-Ban-Junior-RJ9538S-252/2Y-334700.html for myself. Following in their mother's footsteps, the girls also chose Ray-Bans; Evie opting for a pair of the juniors, and Daisy going for an adult pair (the mirrored round lites in blue and white which I'm crossing my fingers she'll lend to me one day!). I'm definitely a Smart Buy Glasses convert now - they sell a huge range of affordable designer sunglasses (some with a massive 70% off! 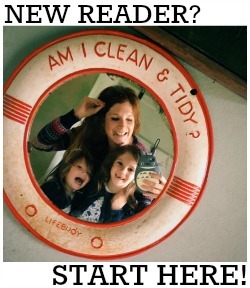 ), plus they offer same day dispatch, 100 day free returns and a 24 month warranty. What's not to love about that? ps How good was our sushi picnic? We even had ice cream afterwards! Have a great weekend all.